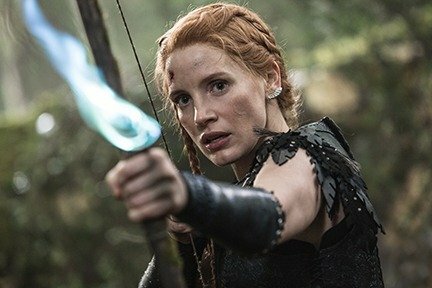 Betrayed by her evil sister Ravenna (Charlize Theron), heartbroken Freya (Emily Blunt) retreats to a northern kingdom to raise an army of huntsmen as her protectors. Gifted with the ability to freeze her enemies in ice, Freya teaches her young soldiers to never fall in love. When Eric (Chris Hemsworth) and fellow warrior Sara defy this rule, the angry queen does whatever she can to stop them. As war between the siblings escalates, Eric and Sara try to end Ravennas wicked reign.